Absorbs petroleum-based liquids while repelling water. Increased fluid-holding capacity means less sorbent used, minimizing sorbent waste for disposal. Low-profile design for use in tight places. Ideal for cleaning up small spills and wiping down contaminated areas. 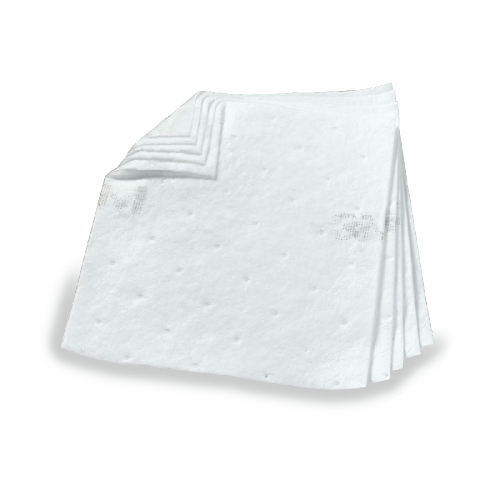 Each case absorbs 37-1/2 gallons. 17 x 19 pad size. 100 pads per case. Shpg. wt. 20 lbs.